Hey could you send me the cover you use for the lost tracks album?! I LOVE it!!! pretty please??? Hi there! Love this site so much! always refer to it! 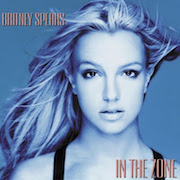 Do you know the easiest way to get The Britney Spears 'Everybody' song on cd? Wasn't it on one of her singles for Blackout? Thank you so much for your nice comments, I really appreciate it. 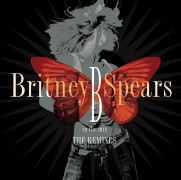 The track "Everybody" is available on on CD in two editions, the 2-track CD edition of the "Break The Ice" single, as well on the Japanese Edition of "Blackout". I hope this helps. I completely forgot Everybody was included on TSC box set hehehe. Regarding to your question and your picture... Seems like the CD on top is the US Deluxe Version that's why "Radar", "Rock Me In" & "Phonography" are listed as Bonus tracks and the CD in the bottom is the UK Deluxe Version and I am not sure why they are not listed as Bonus tracks. I have the Japanese Deluxe Version and they aren't listed as bonus track either but I think it's because the Standard Japanese Version has "Amnesia" as a standard track so on the Japanese Deluxe Version the only bonus tracks are "Rock Me In" & "Phonography". The only difference between the UK deluxe version (Which is the cd on the bottom on your pic) and the Japanese Deluxe is that the Japanese has the making of the video for Circus and also de Music video for both Circus & Womanizer and a picture gallery. Hope that made some sense and answered your question. This really helps, you obviously know your stuff! Thanks for helping me! I'll contact you if encounter another situation. Thanks x !